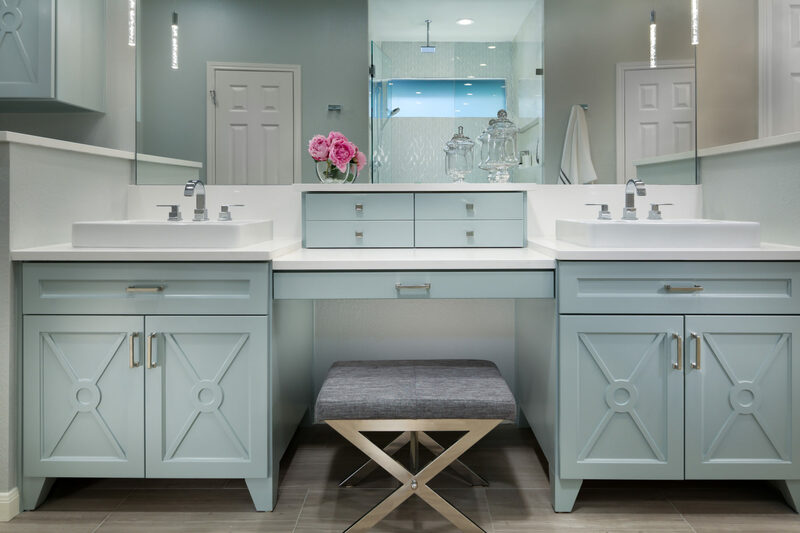 This Master Bath was in need of an update, and offered the perfect opportunity to rework the footprint for better functionality. 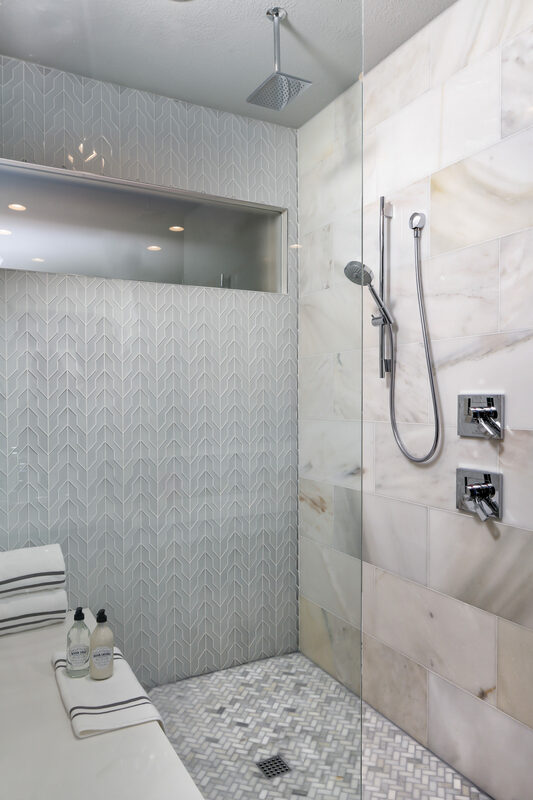 Flipping locations of the bathtub and shower allowed for a more spacious walk-in shower. 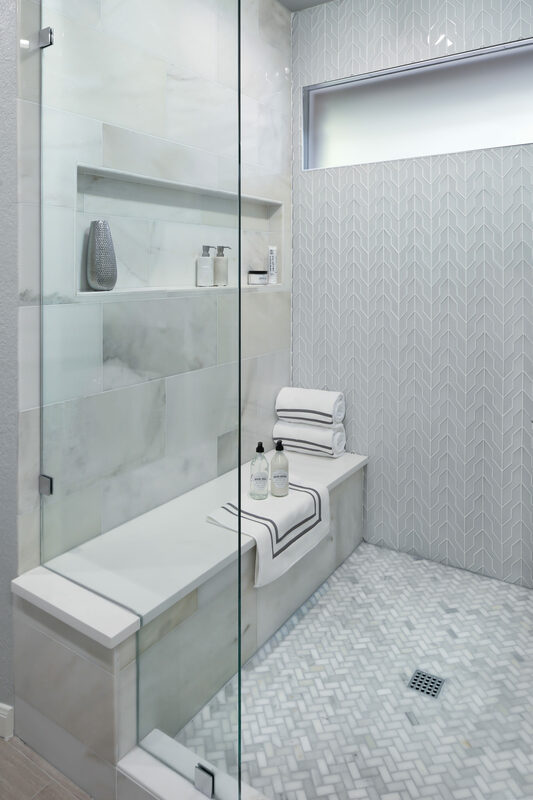 Grecian marble and geometric glass mosaics create an open, modern feel in the shower, and linear ceramic tiles frame the sleek oval stand alone tub. 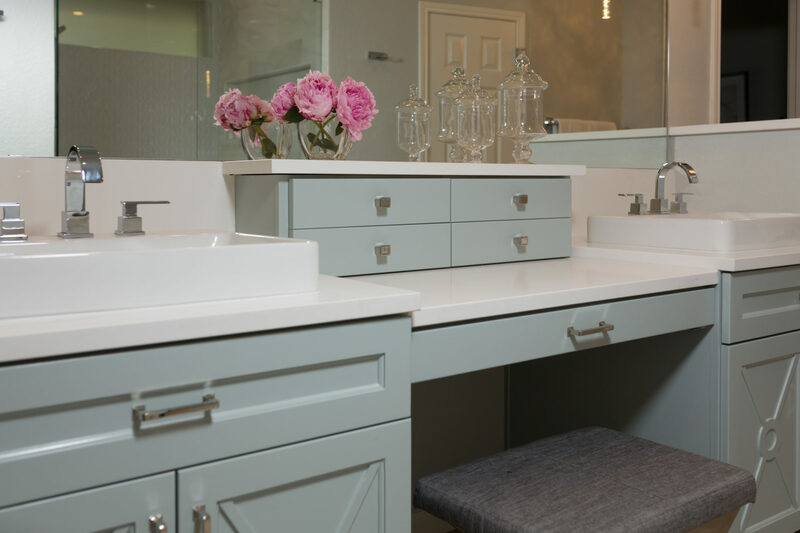 Icy quartz countertops and splash top custom milled water-blue cabinetry, and the space is grounded with grey vein cut limestone limestone flooring. 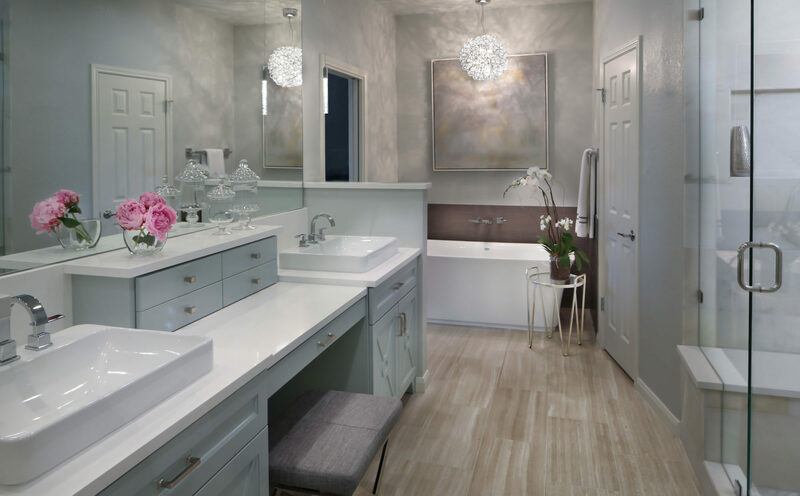 Redefining both closets optimized storage, while adding can and acrylic LED accent lighting finished out the selections to make this Master remodel shine. 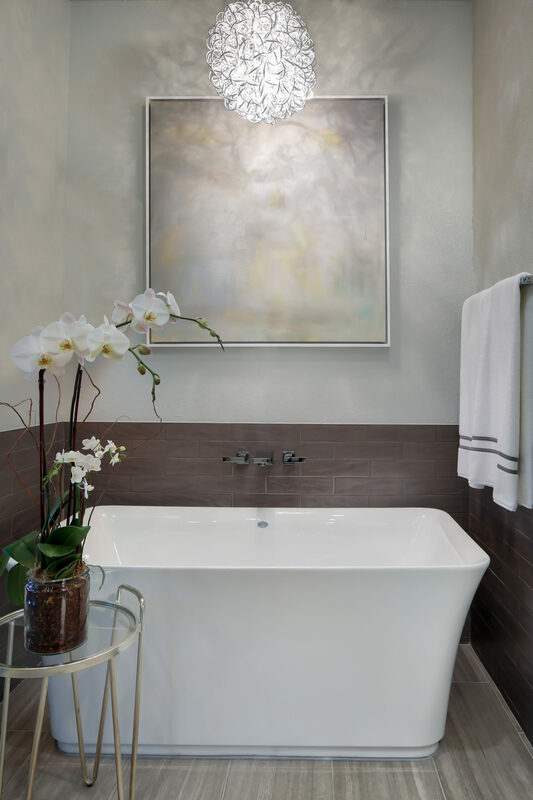 Amanda Stephenson and her team transformed our 1984 master bathroom into a beautiful modern luxury master bath. Amanda has an unbelievable vision, and she and her team worked with us every step of the way. 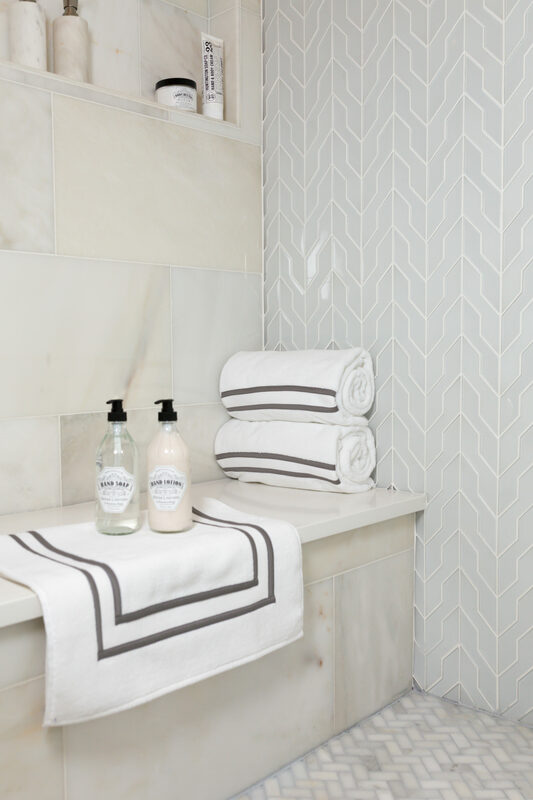 They helped us make our choices, honored our budget and finished our bathroom on time. What a difference switching places with our tub and shower, and knocking down part of a wall made. Amanda and the team are on top of all work being done. They even made our small closets more functional. We cannot be more pleased with our "new" bathroom. Gingerwood took all the “bad” out of a remodeling project!